He has lectured throughout the UK, many part of Europe, USA, Canada, Australia and New Zealand. Recently talks have been given at literary festivals, botanical gardens, specialist societies as well as The Royal Scottish Geographical Society and Royal Society for Asiatic Affairs. Digital projector and laptop, with remote for changing the pictures. A large room may require a microphone. The largest, widest screen available. A double sheet on a wall, well-stretched can make an acceptable screen. A small screen will do but the impact of the spectacular photography will be reduced. Kenneth usually sells his books to accompany his lectures. Charges for lectures depend on distances travelled, size of audience and potential for book sales. Email to kencox@glendoick.com for more information. Lecture Payments must be made by cheque or bank transfer. An invoice can be sent on request. Banks details will be supplied on request for electronic payments. Payments to be made to Kenneth Cox, Glendoick House, Perth, PH2 7NS. NOTE For payments of less than £100 lectures must be paid into my bank account, by cheque or cash on the night please. Some organisations have demanded lengthy form filling to recover small amounts of money. Life is too short for this! ARS 75th Anniversary Convention, Apr. 30 - May 3, 2020, Portland, Oregon. Kenneth Cox presents a spectacular 1 hour lecture on his 2018 publication Woodland Gardening. The talk covers the history and evolution of the woodland gardening style from China and Japan to Europe and around the world. It covers many inspiring woodland gardens and the gardeners who made them, garden large and small, from Australia, New Zealand to North America and Japan to Britain, France and Italy. The talk includes advice on designing, managing and restoring woodland gardens and selecting plants for them. Talks can be tailored to a gardening or general interest audience. An extended two part (2 x 45 mins) presentation can be given which covers more practical advice on how to grow acid-loving plants. This talk accompanies my latest book written with Caroline Beaton. 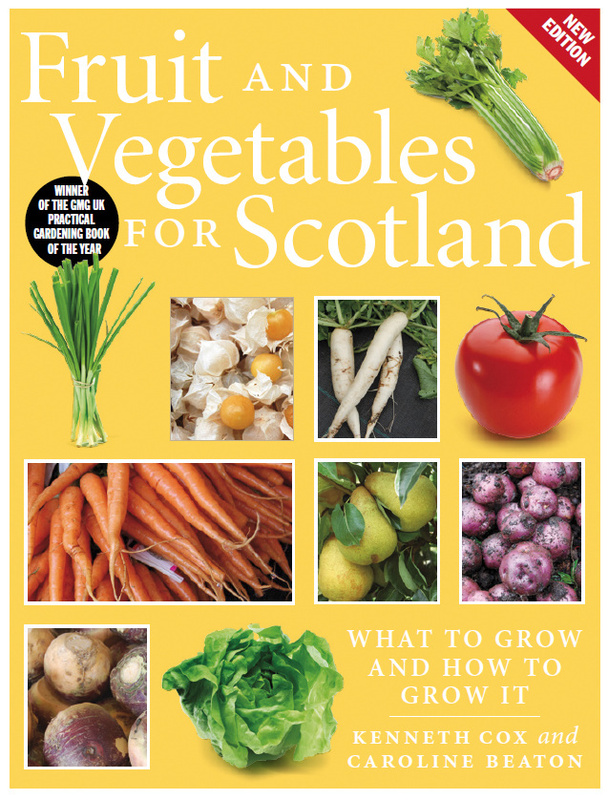 The book is a practical contemporary guide to growing fruit, vegetables and herbs in Scotland covering the best techniques for growing produce, whether in a garden, allotment, patio or window box. Scotland's farmers, growers, plant breeders, show growers, head gardeners and keen amateurs have shared their wisdom, knowledge and experience with the authors, revealing how from Shetland to Galloway local conditions affect what to grow and how to best to achieve great results. The lavishly illustrated lecture covers history, politics, diet and sound advice from gardeners all over Scotland from Shetland to the Scottish Borders. Some of the many topics covered include. Scotland's world-important role in breeding potatoes, blackcurrants and blackberries. Great fruit for Scotland: Why not try growing saskatoons or chokeberries. How do I grow vegetables on a windswept bog in Lewis or Shetland? It it worth trying to grow kiwis, grapes and apricots in Scotland? What is the story behind the Tayberry? How did Scotland lead to world in 19th century glasshouse building? Why is the Scottish diet so poor and what can we do about it? Organic Gardening, a panacea or waste of time? 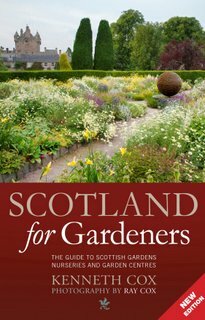 Including descriptions of virtually all Scotland's gardens which are open to the public, as well as nurseries and garden centres, Scotland for Gardeners is the largest survey of Scottish gardens ever published and the first gazetteer to all that Scotland can offer garden and plant lovers. 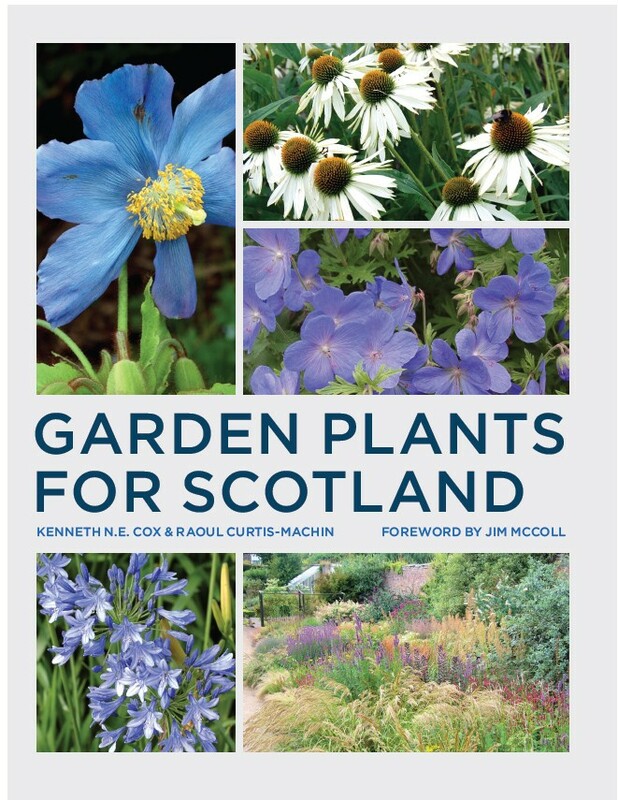 Arranged by geographical area, it also includes an introduction to the history of gardening in Scotland, maps, key information on each entry and lavish colour photographs by internationally renowned garden photographer Ray Cox. This is the ideal book for the Scot or the tourist who wishes to explore the world of gardens and plants in Scotland. The talk includes Ray Cox's stunning garden and plant photographs of the best of Scotland's gardens 12 months of the year and includes some rarely seen before. As well as garden, specialist nurseries, wildflower walks and the best woodlands are covered. Subject include woodland gardens, walled gardens, formal gardens, botanic gardens and the greening of the avant garde. An Audio-visual delight. Ken brings the beauty, splendour and historic interest of the Scottish gardens to life. From Monastic gardens of the middle ages, to cutting edge contemporary landscaping. Ken offers encyclopedic knowledge and entertainment. His sometimes out-spoken, authoritative, information-packed talks are illustrated by photographs from Ken's brother garden photographer Ray Cox. Ken is always delighted to take part in festivals large and small as well as offer lectures to horticultural societies and organisations. Gardens covered include Logan, Portmore, Crathes, Drum, Dunbeath, Shepherd House, Cambo, Inverewe, Little Sparta, Garden of Cosmic Speculation, Glendoick, Crarae, Castle Kennedy, RBG Edinburgh, Edzel Castle. There are two version of this talk. The original lecture covers 500 years of history. A new version concentrates on the new gardens from the last 5 years so is ideal for those who have already seen and enjoyed the original lecture. A 3rd version on Scotland's Walled Gardens is also available. 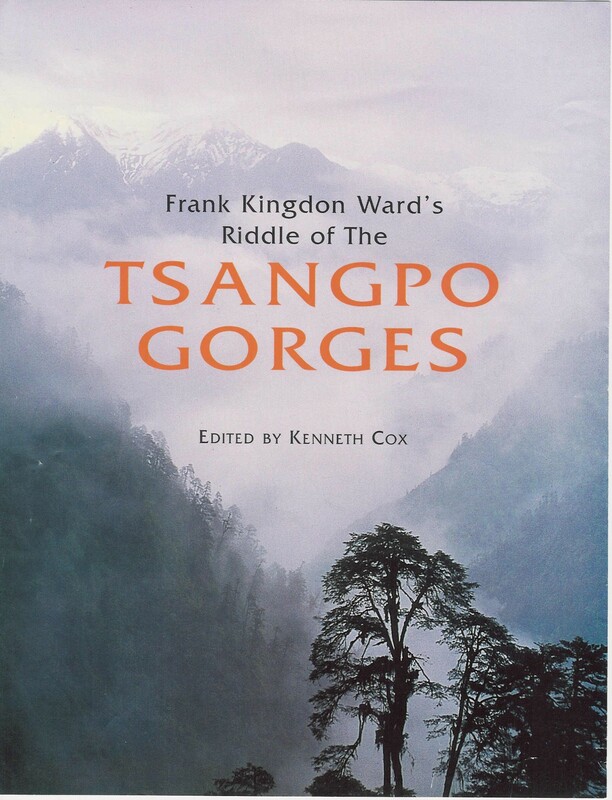 discovery of a new 100ft waterfall in the Tsangpo Gorges. A feast for armchair explorers, history lovers and gardeners. The Book From Lerwick to Logan and from Berwick to Kintyre, this is the book for all of Scotlands' gardeners. Covering trees, conifers, fruit, shrubs, perennials, bamboos, grasses, herbs and hedging, this book is a one-volume guide for Scottish gardeners, both experienced and beginners. Authors Kenneth Cox & Raoul Curtis Machin are not afraid to say what they think. With help from most of Scotland's leading horticultural gurus and gardeners, they have scoured the country evaluating what does well where and why. Introductory chapters cover hardiness, drainage, wind, soil types, where to buy plants and coping with common pests and diseases. The main section covers 1000s of plants including many new ones only just reaching the market. Specialist and mail order Scottish nurseries are mentioned within plant entries to aid the sourcing of Scottish-grown plants. This is the books which does for Scottish Gardening what The Beechgrove Garden has done on television. It is where the gardener in Stranrar, Lerwick or Kinguissie can turn to for information in selecting plants. Standard gardening books, excellent though many of them are, have a major failing as far as gardening in Scotland is concerned. Almost without exception these books recommend plants which do not succeed in Scottish conditions. The Royal Horticultural Society use an inadaquete hardiness rating system of little or no use in Scotland.This lack of reliable information for Scottish gardeners leads to confusion and disappointment. The Scottish Gardenplant award and the new extended hardiness ratings addresses these issues. This book has become the reference book which gardeners in Scotland turn to to choose the best plants for their conditions. This talk is available for booking from Spring 2018 onwards. Based on Kenneth Cox's new book Woodland Gardening (to be published May 2018) which covers the history and practice of this gardening style, tracing its origins in the 18th and 19th centuries and covering gardens in Europe, American Japan, Australia and New Zealand. 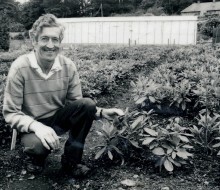 Kenneth Cox has been involved in woodland gardening for much of his life. 2009 saw the publication of a guidebook to Scotland's gardens which include many of the world's finest examples of woodland gardens: Crarae, Arduaine, Inverewe and his own garden at Glendoick. This lecture looks both to the past, investigating the history of this style of gardening, as well as looking to the future with how these gardens might be affected by climate change and other issues. Kenneth is keen to apply a sense of design to woodland gardens and shows some fascinating examples of this style of garden from many parts of the world. 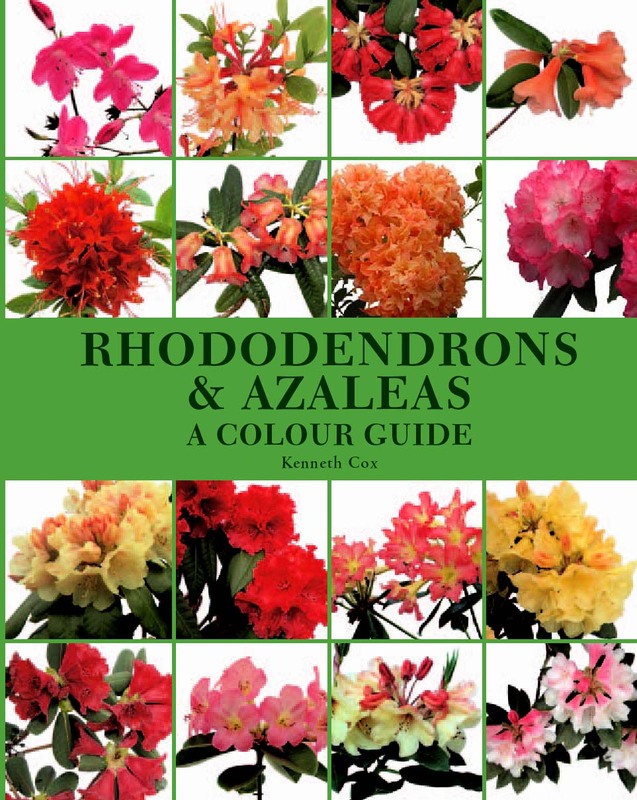 Author of 6 books on the subject, Kenneth Cox probably knows as much about rhododendrons and azaleas as anyone else on planet earth (except perhaps his father). If you think you know rhododendrons... think again. 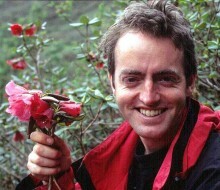 This lavishly illustrated talk covers the huge range of species and hybrids available and takes the audience on a short tour of their wild habitats in Tibet and the Himalaya as well as cultivation of rhododendrons in garden, greenhouse and in containers, and gardening styles associated with rhododendrons. Ken's travels have taken him to every corner of the globe. From Tasmania to Tokyo and Scotland to Seattle, see the best examples of rhododendron gardening. Stunning plant portraits include hillsides of rhododendron species in the wild in the Himalaya, as well as some of the many new rhododendron and azaleas hybrids he has created at Glendoick. George Forrest was Scotland's greatest Plant Hunter and Explorer in China from 1904 to 1932. He discovered and collected hundreds of new plants, birds, butterflies and mammals and having escaped death at the hands of Tibetan monks in 1904 he died in China on his last expedition in the 1930s. Almost every Scottish Garden contains plants which Forrest discovered or introduced: gentians, pieris, rhododendrons, Magnolia, Camellia and many more. Kenneth Cox gave this lecture in April 2011 at Caerhays, Cornwall to celebrate the 100th anniversay of Caerhays owner J.C. Williams' hiring of Forest to collect plants in China. J. C Williams sponsored all Forrest's remaining expeditions. Kenneth has been to many of the places in China that Forrest visited and will show these with spectacular pictures. The talk also features archive material including Forrest's letters. A combination of biography, plant hunting, dear death experiences, stunning plants and some new research. Born in 1964 into a family of renowned plantsmen, Kenneth Cox is grandson of planthunter, writer and nurseryman Euan Cox and son of Peter Cox VMH. 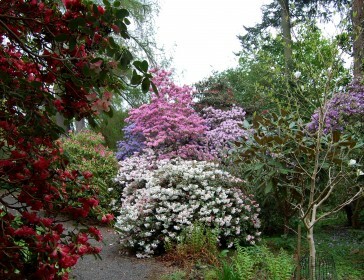 The three generations were and are considered the world's leading experts on rhododendrons. Kenneth, himself a nurseryman and author of numerous books on rhododendrons, has carved out his particular niche in the world of plant-hunting in leading 9 expeditions to South and South-East Tibet and Arunachal Pradesh, India, 1995-to the present. He graduated in 1986 at the University of Birmingham, England with a BA in General Arts and a diploma in commerce. Kenneth Cox is an experienced lecturer on rhododendrons, horticulture and exploration and has lectured throughout the UK, many part of Europe, North America, Australia and New Zealand. Recently talks have been given at literary festivals, botanical gardens, specialist societies as well as The Royal Scottish Geographical Society and Royal Society for Asiatic Affairs. Kenneth is managing director of the family firm Glendoick Gardens Ltd in Scotland, a garden centre and mail order nursery specialising in Rhododendrons, Azaleas, Ericaceous plants, Meconopsis, Primula and other plants collected by the Cox family around the world. Kenneth is married with two sons and in his spare time plays several musical instruments. May 2015 Vancouver and Victoria BC, Canada. 28th August 2015 St Andrews University. 20th September 2015 Mount Stewart, Northern Ireland. 3rd October 2015 Blairgrowrie Book festival. 7th May 2016 Garden Praxis, Munich, Germany. April 21st Mount Stewart, Co Down, I Ireland Indentifying Rhododendron Species workshop. October 2nd 2018 Woodland Gardening, The Caley Lecture Series, RBGE Edinburgh 7.30pm. 'Many thanks for your brilliant lectures to us here at Mount Stewart. Everyone enjoyed them immensely and learned so much – as ever brilliant! Many thanks once again, thank you for coming over at short notice and stealing the show again.' Neil Porteous, Mount Stewart, N Ireland. 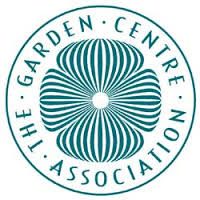 Kenneth is managing director of the family firm Glendoick Gardens Ltd in Scotland, a garden centre and mail order nursery specialising in Rhododendrons, Azaleas, Ericaceous plants, Meconopsis, Primula and other plants collected by the Cox family around the world. Kenneth is married with two sons and in his spare time plays several musical instruments. Ken sits on the board of Trellis, and is a patron of Emu Valley Rhododendron Garden in Tasmania and Bookmark Book Festival. Rhododendrons, A Hamlyn Care Manual. Hamlyn 1998. Translated in French, Dutch, Swedish, Danish. Rhododendrons and Azaleas: A Colour Guide Crowood Press 2005.